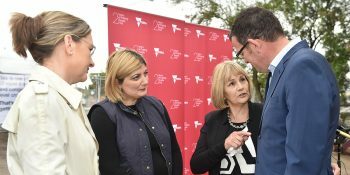 The Andrews Labor Government’s Public Sector Innovation Fund will support a crucial project to reduce youth crime and help divert young people from criminal activity. More than 30,000 primary students will receive free eye testing and glasses at school in a Victorian-first. A member of the Friends of Maribyrnong Valley has been honoured at the annual Victorian Environment Friends Network Best Friend Award Ceremony. Victorians will pause today to honour the brave Australian servicemen and women who have defended our nation at war.